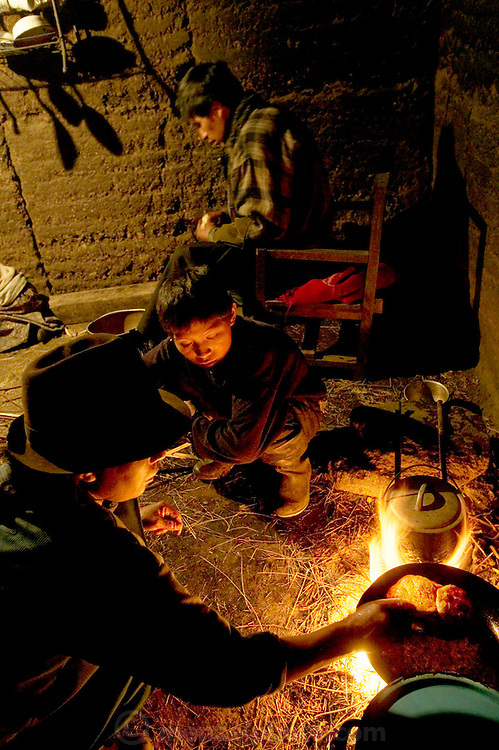 Ermelinda Ayme cooks empanadas for her children in the family's earthen kitchen house as one of her sons watches. Husband Orlando slices onions to help his wife, an unusual task for a village man to undertake in Ecuador. (From a photographic gallery of kitchen images, in Hungry Planet: What the World Eats, p. 55) (MODEL RELEASED IMAGE).